The 2017 Volvo XC60 T6 AWD Inscription is the epitome of modern Scandinavian design. 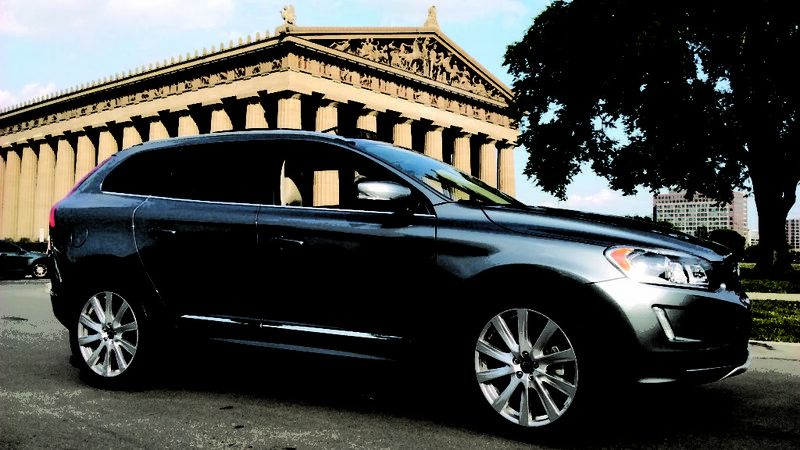 The XC60 combines grace with power. A long hood, muscular wheel arches and short overhangs create a sense of refined strength. As always, Volvo has taken an intelligent approach in its design and power with their vehicles. The XC60 comes with a T8 Twin Engine powertrain, a plug-in hybrid that gives you performance, efficiency and low emissions without compromise. The XC60’s air suspension provides the perfect balance between comfort and handling. Whether it’s potholes or just rough terrain, you get an enjoyable ride whatever the surface plus, the suspension helps keep the car level, so you always feel confident. Inside the XC60 is when the real magic begins. Reclaimed driftwood, hand-stitched leather seats and thoughtful details combine to make every driving experience more than pleasant. Hear your music as the artist intended with Bowers & Wilkins audio. Enjoy an immersive experience with crystal clear sound. Other cool, practical and sporty interior features include: remote ignition, low-speed frontal collision warning and mitigation, blind-spot monitoring with rear cross-traffic alert, a rearview camera, and rear parking sensors. And when it’s time to find your way across town or across the country, it can be easily done with XC60’s Sensus Navigation system. Its portrait format displays more of your journey so you don’t have to scroll. Destination services open up a world of information at your fingertips. And the fun and cool technology continues. Open and close the tailgate of the XC60 by waving your foot under the car’s bumper. So, when your hands are full you don’t have to put everything down to get into the car. If you can say hello on your smartphone, you can also control the XC60. Using your smartphone with the Volvo On Call app, wherever you are in the world, you can check fuel levels, lock and unlock your car and pre-heat or cool the cabin. It’s the easy way to stay in control.